If there’s one thing that every kids’ party needs, it’s a cake. The centrepiece of the birthday feast and integral to the most important photo opportunities of the day, the cake is one of the most essential elements of the party. Like all aspects of kids’ parties, cakes are hit by regular trends. Whether they’ve been inspired by computer games, TV shows, movies or other kids’ birthdays, these trends are strongly felt by parents trying to put parties together. To help you work out which cake is right for your child, and to give you an idea of how to recreate some of the most popular cakes around, we’re taking a look as some of the best trends of all time. The piñata cake is one of the most popular kids’ cake trends we’ve seen emerge in the past few years. More exciting and more rewarding than traditional sponges, a piñata cake will make a great centrepiece for your child’s next birthday party. The main feature of a piñata cake is that when the sponge is cut, a cascade of sweets emerges from the centre. This makes the first slice of the cake even more dramatic and gives kids plenty of sweet treats to enjoy. Piñata cakes are now widely available in the UK. Talk to your local bakery about the options they offer. Alternatively, if you want to flex your creative muscles and show off your baking talents, you can make your own version of this sweet surprise. Simply bake a normal layered cake and then cut holes in the middle of the central sponges. Fill this hole with sweets of your choice and then place the final intact layer on top of the cake. Ice the cake as normal and then present the finished product to your hungry guests. Normal on the outside, colourful on the inside, rainbow cakes are a very popular option for kids of all ages. If you’re making the cake yourself, you’ll need a number of cake tins, a variety of food colourings and a lot of patience. 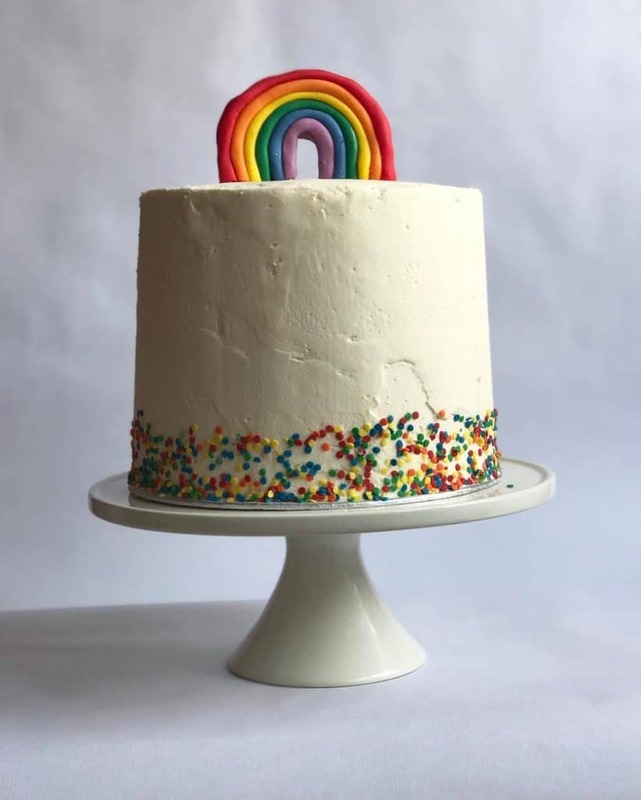 The number of layers you bake for your cake is really up to you, however you’ll probably want more than five colours to give the cake its distinctive rainbow appearance. Give each layer a vibrant tone using food colouring. Make sure you use a vanilla sponge instead of a chocolate one as this will help the colours to really stand out. Once your layers are baked and cooled, it’s time to assemble your cake. Spread a thick layer of butter cream on top of each layer to help stick the sponges together and ensure the resulting cake is moist and sweet. When all the layers are in place, you can ice and decorate the outside of your cake and get it ready for the party. Although doughnuts have been popular for decades, it’s only relatively recently that we’ve seen this fried food find its way into our birthday cakes. There are lots of ways to incorporate doughnuts into a cake design. You can even opt to go the whole hog and have one enormous doughnut as the centrepiece of your birthday feast. If you can’t find a bakery to make you a doughnut big enough, or if you just want a dessert that’s a little more varied, you can combine your favourite doughnut flavours with your preferred sponge. Simply bake your cake, make or buy a selection of doughnuts, and then use the doughnuts to decorate the outside of the sponge. If you have any left over when the decorating is done, use them to cover your presentation plate or place them on the table surrounding the central sponge. Once you’ve finished decorating, you should be left with a dessert table that looks colourful, indulgent and irresistible. If your kids prefer sweets to doughnuts, you can use a variety of sweets to decorate your sponge. If you’re going to adorn the outside of your cake with chewy fried eggs, cola bottles, sour ropes and rainbow strings, you’ll need to use a fairly thick icing to ensure everything sticks. Once the icing is in place, let your imagination run wild and cover the outside of the cake in a selection of your child’s favourite treats. If you’re feeling creative, you could use the sweets to create an image or landscape on the cake – think Willy Wonka and the Chocolate Factory or the final of Bake Off. This can be a great way to make the sponge even more special and really turn it into a feature. Alternatively, simply cover the outside of the cake randomly in sweets and enjoy. This type of cake can even be turned into an activity for the party itself. Simply leave the cake plain and bring a wide selection of sweets to the party. You can then ask the kids to decorate the cake themselves. This works best in small groups so that all the kids get a chance to flex their creative muscles. This classic birthday cake trend is still going strong with thousands of kids requesting cakes in the theme of their favourite superhero every year. From Batman, Superman and Spiderman to Thor, Captain America and Wonder Woman, superheroes are popular with kids of all ages. As a result, a lot of bakeries offer superhero birthday cakes. 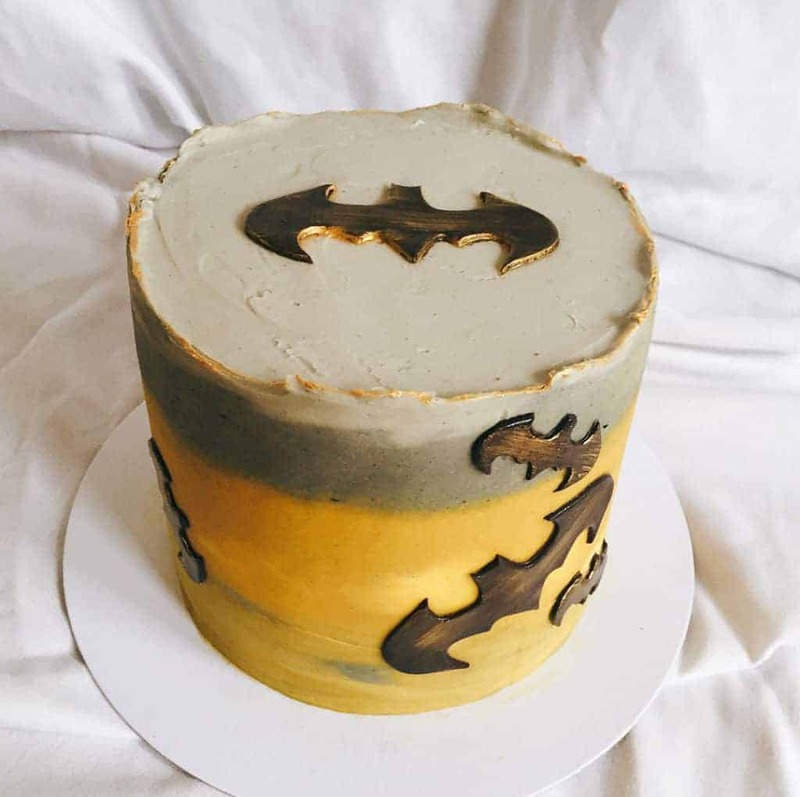 This makes it easy to find eye-catching and delicious cakes for most of the popular caped crusaders. If you want to make a superhero cake yourself, there are a few things you need to consider before you start whipping up the batter. For a start, you need to think about the design. If you’re feeling ambitious, you could carve an entire superhero out of sponge. This is probably the most complex option and should only be attempted by confident bakers with a lot of decorating know-how. A good alternative is simply to make the emblem of your child’s favourite superhero out of sponge. This generally makes for a much simpler shape and more straightforward icing job. As this type of cake is easier to achieve, it’s a good option for novice bakers and those new to themed cakes. Sometimes, you just can’t beat a classic chocolate cake. Guaranteed to go down a storm with kids, and adults, of all ages, a rich, gooey chocolate sponge is the perfect choice for a birthday party. However, just because you’re opting for a chocolate cake, it doesn’t mean there has to be anything simple or standard about your sponge. Using a variety of decorative techniques, and a lot of indulgent ingredients, you can create a sumptuous centrepiece fit for the most dedicated chocolate lovers around. For a start, you need to ensure that your sponge is soft, light and moist. Using real chocolate instead of cocoa powder is a good way to ensure you get that authentic chocolate flavour and rich, velvety texture. When it comes to icing your cake, there’s no such thing as too much. Use ladles of buttercream, ganache or any other topping you fancy in between all the layers and on top of the sponge. Decorate the cake using chocolate sprinkles, chocolate buttons and any other chocolatey sweets you have around the house. The more decadent your cake looks, the better it will go down with your hungry guests. Car cakes have long been a popular choice, especially among boys. From Ferraris to fire trucks and police cars to classic VWs, kids love cakes that look like their favourite automobiles. If your little one is a fan of all things motorised, why not treat them to a car cake of their own? Thanks to the solid shape of this cake it’s actually fairly easy to make, even for novice bakers. All you need to do is cook some tasty sponges, stick them together using buttercream and then carve them into the shape of your child’s favourite car. Use more buttercream, royal icing or fondant to decorate the outside of the cake, using food colouring to give the various elements of the car a realistic look. These days, more and more kids have allergies or intolerances to dairy products, wheat and other ingredients. As a result, a lot more birthday cakes are going ‘free from’. This means that they’re made using a variety of substitute ingredients and innovative techniques to give a result that looks, and tastes, just like a normal sponge. If some of the people on your guest list are vegan, have allergies to dairy or are gluten intolerant, baking a ‘free from’ cake could be the perfect choice. The substitute ingredients you use will depend on what you’re trying to cut out of the cake. Good-quality oil or some brands of margarine can often be used in place of butter, while almond flour, oat flour or chestnut flour can be used as gluten-free alternatives to traditional self-raising. If you’re trying to avoid the use of eggs, you can use the liquid drained from a tin of chickpeas as an alternative. This surprising ingredient can be whipped up and incorporated into sponges to make them a little lighter and help bind ingredients together. You can flavour your cakes using a variety of unusual ingredients too. Beetroot works really well with chocolate cake and courgette can be used in most sponges to make them moist and add a little structure. Talk to parents before you start baking your cake to find out exactly what your guests can and cannot eat. In some cases you may need to bake a few different sponges in order to keep everyone happy. 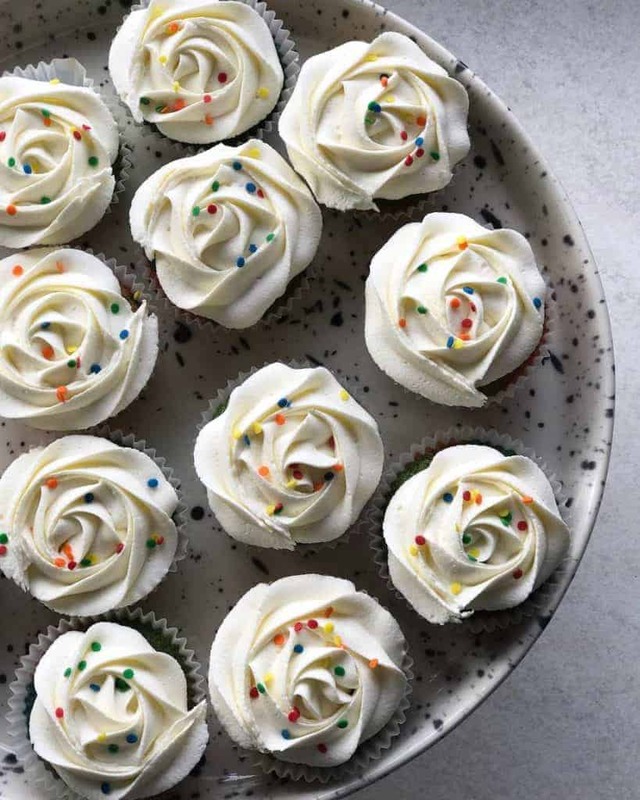 For a long time, cupcakes were the trendiest option for celebrations of all kinds. From weddings to anniversaries and work parties to birthday dos, cupcakes of all shapes and sizes were all the rage. Kids parties didn’t escape this powerful trend and many parents opted to replace their child’s single sponge with a collection of cupcakes. One of the good things about this trend is that it makes the dessert table look full and enticing. Having an entire table packed full of iced delights is a great way to make your party indulgent and get the kids even more excited about cake. Plus, as there are lots of small cakes to choose from, you can opt for a variety of flavours – something that’s guaranteed to keep even the fussiest of eaters happy. You can get even more out of your cupcake table by turning the baked goods into an activity. Simply ask the bakery to leave the cakes un-iced – or bake them yourself and leave them plain – and then give kids the tools and equipment they need to decorate the cakes themselves. This fun activity lets kids flex their creative muscles and learn some new skills in the process. Unicorns are currently incredibly popular with younger children. Magical, beautiful and unique, unicorns are being used to decorate clothes, toys and all sorts of other accessories. Birthday cakes have definitely not escaped the trend and we’re seeing more and more unicorn cakes appear across the country. The good thing about this types of cake is that it can be as complex or as simple as you like. At their most basic level unicorn cakes are essentially a sponge with plain white icing topped with a cone or other horn. A lot of bakers use sweets, coloured icing and other adornments to decorate the cakes, however this isn’t strictly necessary so feel free to be as extravagant or as minimalistic as you like. If you want to be a little more ambitious, you could try shaping the entire cake into the form of a unicorn. This is likely to be more successful if you have the animal lying on its side rather than standing up. Once you’re happy with the shape, use fondant, buttercream or royal icing to make the outside of the cake white and then use any decorations you like to finish it. 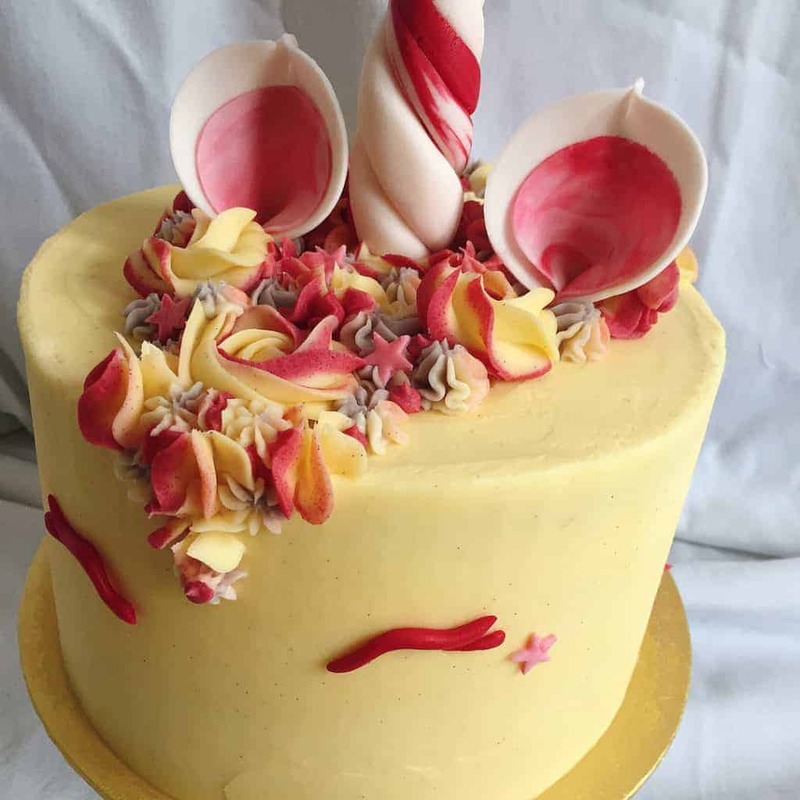 A fantastic novelty birthday cake option, an ice cream cake isn’t actually made from ice cream, but rather is formed into the shape of a spilt ice cream cone. Colourful and fun, this type of cake makes a great centrepiece for a party. If you’re inspired to make an ice cream cake of your own, the process is fairly simple. First, you’ll need to bake a tasty tiered cake and stick the layers together using icing. Any flavour of sponge will work, so don’t be afraid to get a little adventurous. As well as the main part of your cake, you’ll also need to bake a small sponge to shape into the ice cream ball. Once this sponge has been baked and cooled, use a sharp knife to cut it into a ball shape and then stick it to the top tier of the cake using icing. You’re now ready for the fun part: decorating your cake. You’ll need a lot of icing if your design is going to look convincing, so mix up a big bowl of your chosen topping. Split your icing into a few different bowls and add some food colouring. This will give you a variety of tones to play with when creating your design. First, ice the main part of your cake using a bright, bold-coloured icing. Next, attach an upside down ice cream cone to the top of your ice cream ball using icing. Then use more icing to make the ball look like it’s just crash-landed on top of your cake. You can have some drips of ice cream pouring down your cake to make it look even more decadent. Top it all off with some sprinkles and a flake and enjoy. A good option for a sophisticated kids party, macaron cakes are an increasingly popular choice for all occasions. Underneath all the adornments, this is just a normal tiered sponge cake. Use a number of layers to give the cake height and provide plenty of room for your macarons. Once the sponge has been iced, you’re ready to add your decorative baked touches. If you’re feeling ambitious, you can try to make the macarons yourself. However, as they’re notoriously difficult to get right, it’s probably easier to buy a batch from a local bakery. You can use icing to stick the macarons to the outside of the cake. Place them in rows around the top of each sponge and stick a few to the sides of your layers. On top of your cake, pile the macarons high to give the finished centrepiece the wow factor.